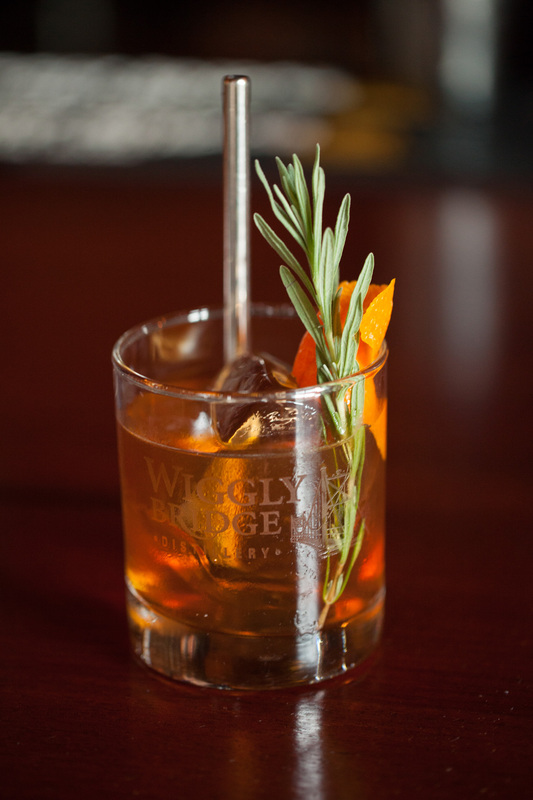 In tumbler, add bourbon, maple syrup, vanilla, bitters, and one sprig of rosemary. Shake well. Double strain into rocks glass. Add ice and garnish with rosemary. With a Y-peel, peel 3 inches of orange, rub outside and inside rim and add as garnish.